Montserrat’s Hon. 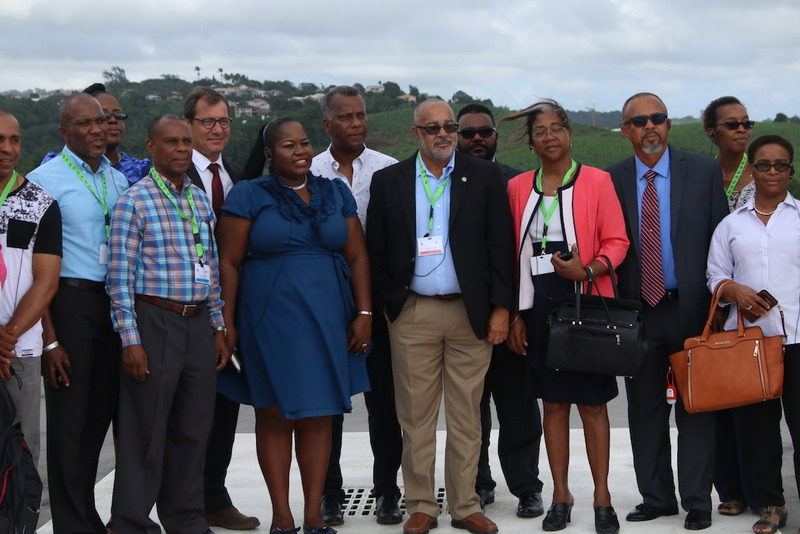 Minister of Health Delmaude Ryan is attending the 4th Council of OECS Health Ministers in Martinique to discuss among other things pharmaceutical services. The OECS Commission is working to continue to drive down the cost of medicines via the OECS Pharmaceutical Service which in 2016/17 purchased approximately $25 million worth of medical products. This resulted in aggregate cost-savings of $5 million for OECS Member States. Financial savings in the health sector is just one topic raised at the 4th Council of OECS Health Ministers meeting being convened in Martinique from the 10th – 11th November 2017 to examine ways to share resources, drive down health costs and improve access to health services for all citizens across the OECS. “We are meeting here in Martinique at this critical time and Martinique has deliberately been chosen for this meeting because your health system is the most sophisticated in the OECS and there are many lessons to be learned from your best practices….a lesson of Irma and Maria is that alone we can do so little; together we can do so much. “Our geographic proximity is both a common vulnerability but it also enables us to respond with neighborly urgency” said Dr. Jules.